With a 5L jute outer construction these unique cooler bags look great with a print decoration. 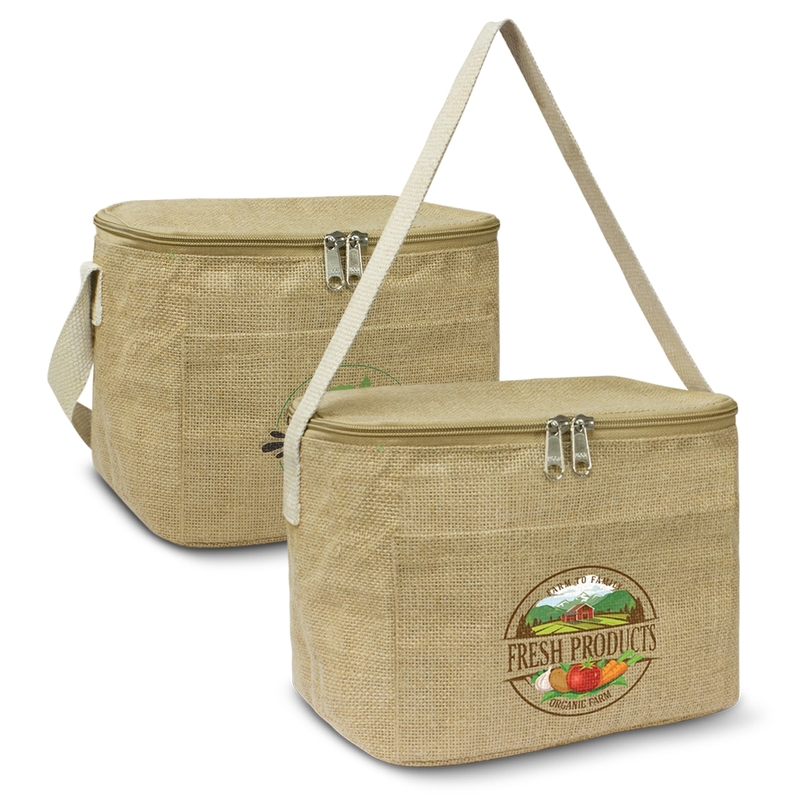 These cooler bags have an on-trend natural jute outer construction and a PE foam insulation encased in waterproof PEVA inner liner. They are complimented with natural unbleached cotton carry handles. Other features include a natural zippered top closure and a jute slip pocket on the front. 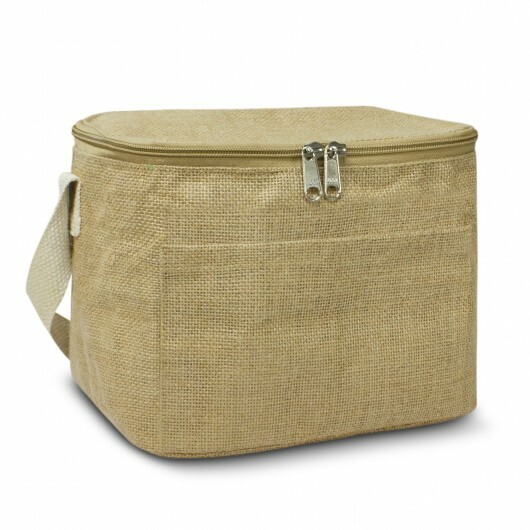 A great choice for small cool items at the shops, picnics or lunches.